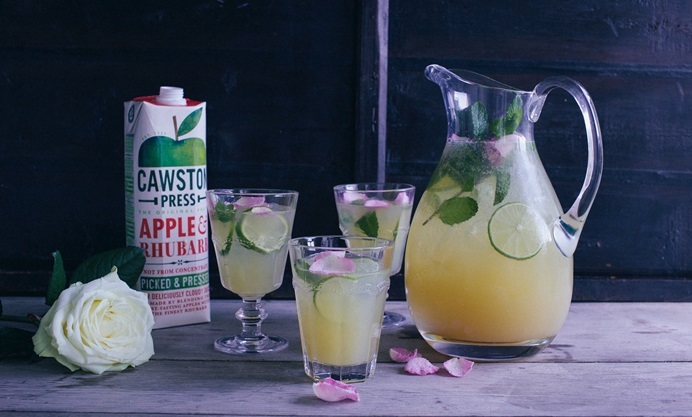 Georgina Fuggle's beautiful rose and rhubarb mocktail recipe is pretty as a picture, providing an elegant alcohol free cocktail option for any party. A pretty cocktail both in sight and taste. 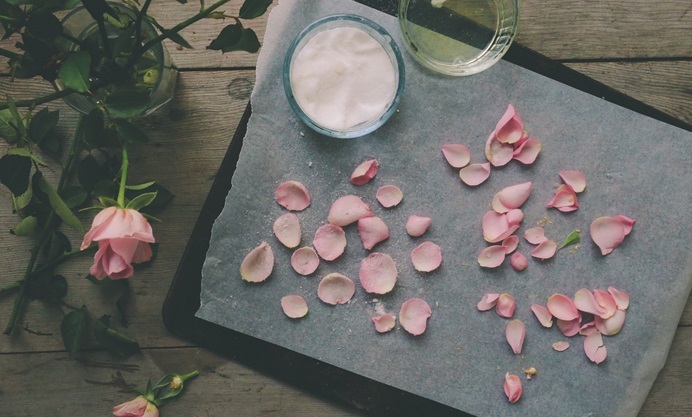 The rhubarb in the juice creates a slightly sour backdrop to a floral rose and sweet apple front. Perfectly easy to put together and lovely for a celebration, where something special is needed. 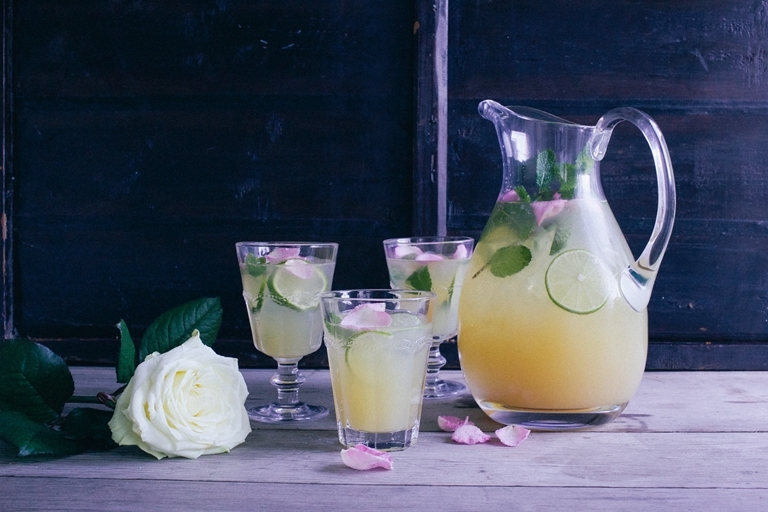 You could sprinkle the finished mocktails with dried rose petals to save time, if preferred.